If you need another computer monitor – Maybe need to connect a DVI monitor into a Laptop that has only VGA only – then Display Link has the answer. Using Display Link and USB, you can connect a second or third monitor. 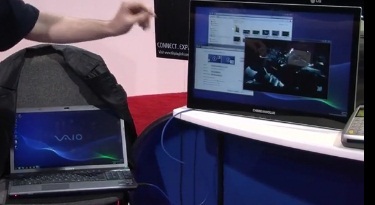 DisplayLink also announced the USB 3.0 monitor extension. It is backwards compatible to USB 2.0, but with the 3.0 you can power a 23 inch monitor. You also don’t need external power cords. If your desktop or notebook has USB 3.0, then Display Link is a great add-on. Having an extra monitor to extend a desktop or mirror a station can sometimes increase productivity.